The holiday season is a time of beautiful lights, good food and gathering. 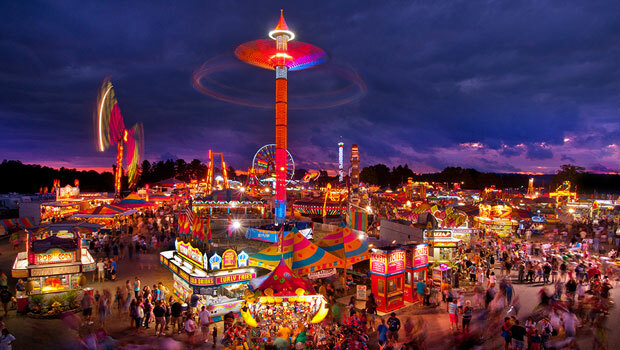 The United States boasts some of the largest holiday celebrations and fantastic places to visit for the season. 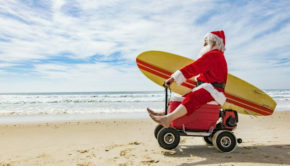 If you love to travel and are planning a trip around Christmas, you’ll be surprised to see that the opportunities are endless. 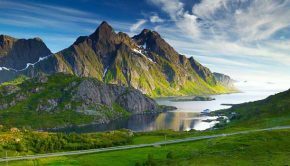 From Christmas in New York to viewing the snow covered alpines in Aspen, you are sure to have a trip or vacation to remember. 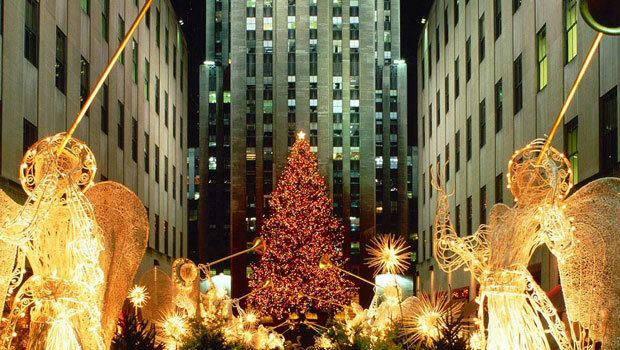 New York is considered home for the holiday season. 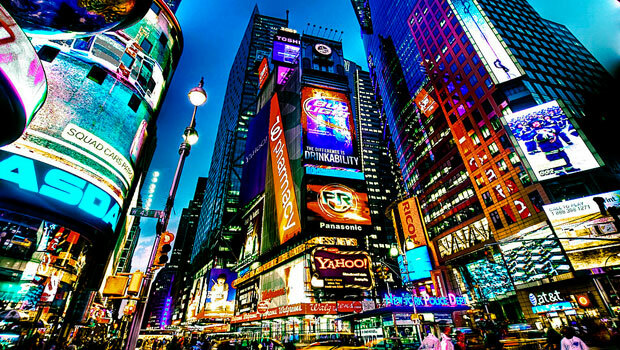 There are thousands of things to do including the viewing of the New York Christmas tree and watching the ball drop on New Year’s Eve. There is nothing more spectacular than Christmas in New York City, except for viewing the beautiful scenery from a luxury cruise ship. You are able to view Manhattan and Lady Liberty on a sunset cruise on the beautiful water. Watching the city skyline on the rooftop lounge while enjoying freshly prepared cuisine served buffet-style or sipping on a classy cocktails from the ship’s cash bars. A perfect experience for couples, or groups that wish to take in the holiday lights from the water. If a cruise isn’t for you, take a stroll down New York’s strip and enjoy the Christmas music, grab a hotdog and go ice skating in downtown New York. It truly is magical. 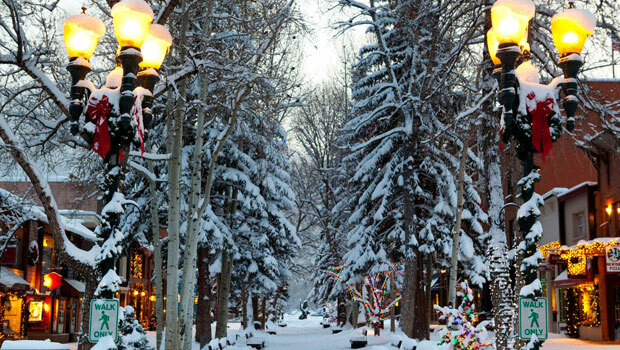 Aspen is a beautiful place in the winter time that looks as if it is from a storybook. This quaint town is home to beautiful houses, large fir trees and amazing mountain views. Located in the Rocky Mountain territory, Aspen boasts lovely famous hotels that serve holiday meals that include venison, huckleberries and more. Aspen is beautiful year round, however, the town truly sparkles during the winter. The trees hang heavy with icicles and the streets are lined with snow. 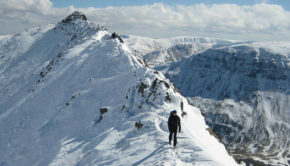 If you are brave enough, you can check out the local ski resorts for an amazing thrill ride. Visit Cooper Avenue to find elves and cookie exchanges. It is a lovely little town that’s big on holiday cheer. When you think of Maine, you may think of a beach vacation or getaway on the sand. However, Maine is a special place during the holiday season. 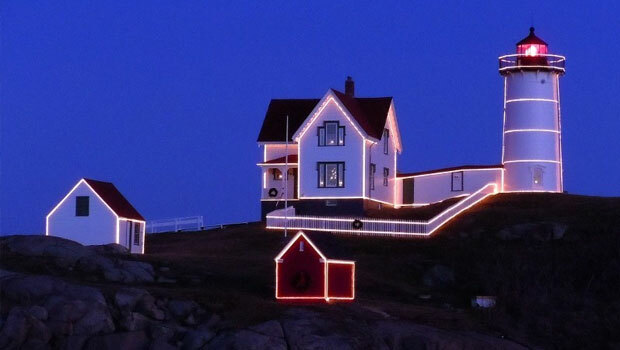 Maine’s holiday festivities include the Christmas by the Sea festival which includes a bonfire on the beach and a chowder fest. From this quaint town, you can visit two huge shopping centers to check those gifts off of your list. Maine’s cuisine offers you all the seafood you can eat as well as truffles and other candy treats. Enjoy the waves with a sweater and a hot cup of chowder in Maine. Visit one of the most beautiful places on the coast. It is spectacular, cozy and feels like home. 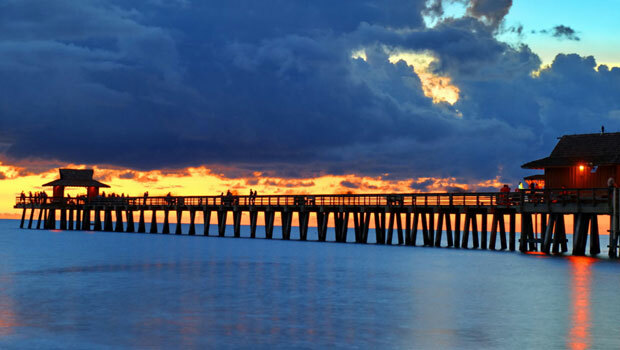 Although you may not find any snow to build your snowman with, Florida is a beautiful place for the holidays. You can view the beautiful shopping malls and window shop. You can feel the ambiance of this festive town by viewing all of the decorations on the cultural homes and buildings. You can also check out the TUBA Christmas, a concert on Fifth Avenue that includes various musical instruments including tubas, baritones and more. Naples is home to luxurious boutiques and a hometown atmosphere. Come check each giftee off your list. Lewisburg mixes culture with high-end boutique style during the holidays. The Greenbrier hotel stands in the middle of the entire buzz. The 18th century resort hangs decorations and even holds ribbon-tying classes inside of its beautiful brick walls. You can also listen to the West Virginia symphony place at the famous Carnegie Hall during the Christmas season. This town is quiet and gives you ultimate peace for the night. Allow yourself to take time and relax, wrap gifts and sip on hot cocoa from your beautiful room at the Greenbrier. All of these destinations are perfect any time of the year. However, during the holiday season, they are a winter wonderland. From hometown atmosphere to beautiful scenery and immense shopping, all of these cities should be included on your bucket list.